Raw talent, a drive to succeed, and a strong support system have led Tyler S. Arnold into a career that he never even considered a possibility. As a self-taught artist, specializing in oil, acrylic, and mixed-media paintings, Tyler spends his days honing his craft and steadily growing his business. 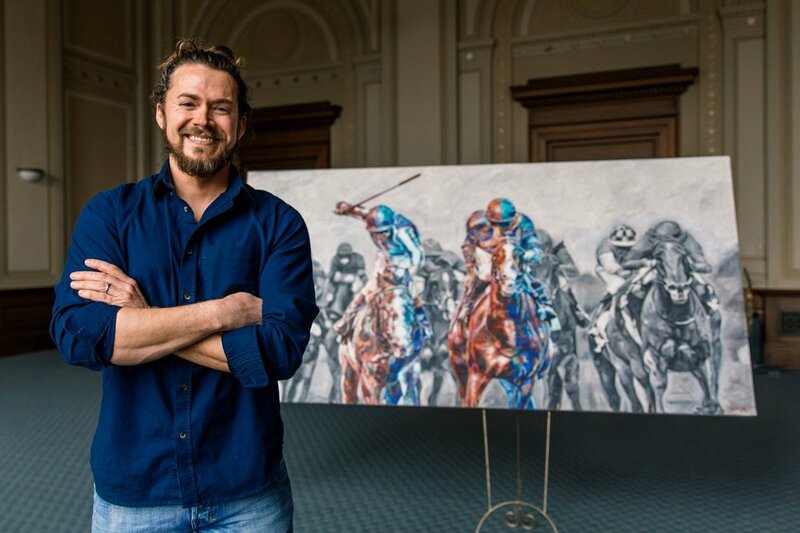 As the signature artist for Texarkana’s 19th annual Party with Picassos fundraiser, Tyler is excited to use his time and talent to give back to his hometown. 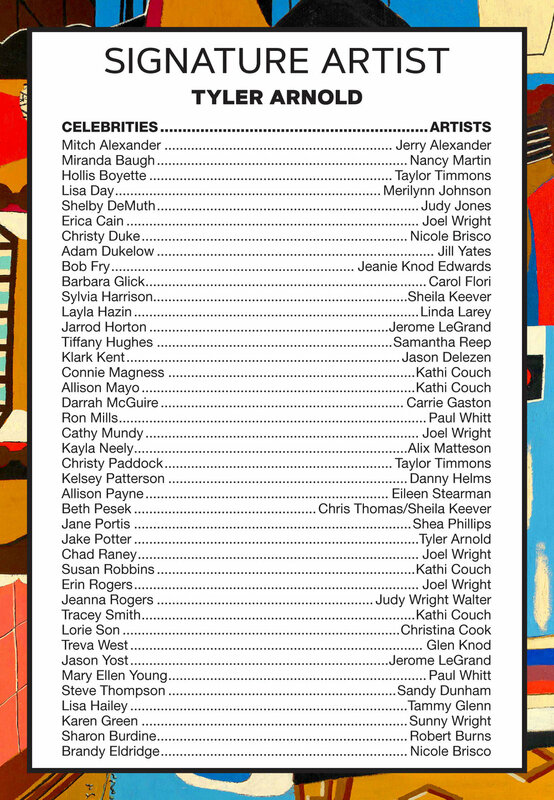 TYLER’S SIGNATURE PAINTING FOR PARTY WITH PICASSOS WILL BE ON DISPLAY IN THE REGIONAL ARTS CENTER, AND SEALED BIDS WILL BE ACCEPTED THROUGH MARCH 20. CALL 903-278-3383 FOR MORE INFO. ^ This 32x54 mixed-media painting of Ray Charles is one of Tyler’s favorite creations. 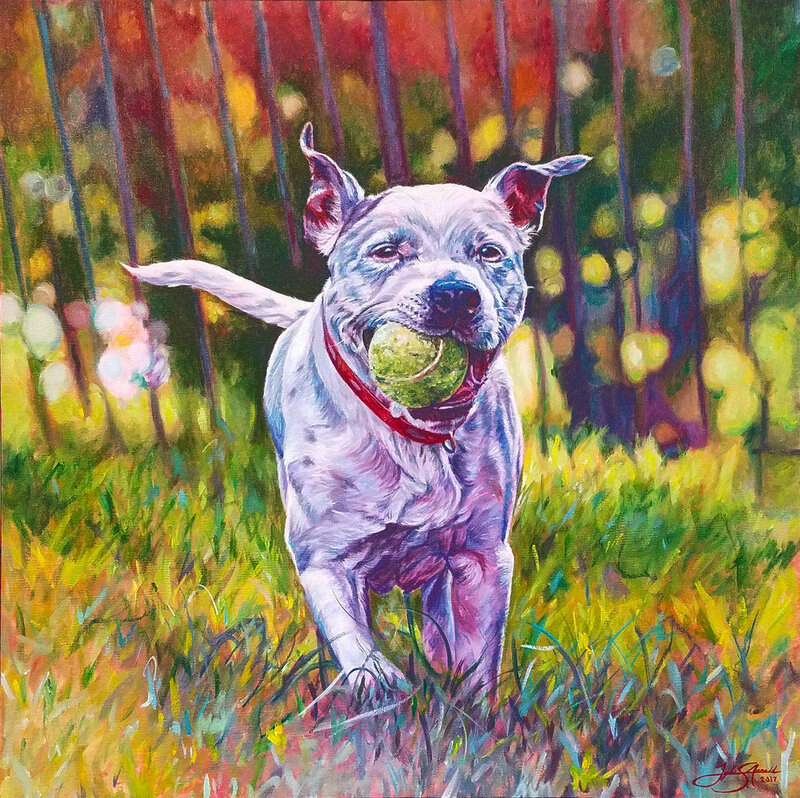 ^ Tyler painted this pet portrait of “Dusty” for national country music deejay, Bobby Bones. To connect with Tyler and see more of his work, visit his website at: www.tylersarnold.com.